Last Wednesday, 60 Year R pupils enjoyed a trip to the Theatre Royal to watch Julia Donaldson’s Tiddler and friends. They loved seeing some of their favourite stories come to life, including Monkey Puzzle and the Smartest Giant in Town. Back in class, the visit inspired the children’s creativity where they made collages about their trip, as well as writing super sentences about their favourite part of the show. The children then had the opportunity to take part in a creative workshop with a member of the Theatre Royal team where they learnt a song with Makaton actions from the show. 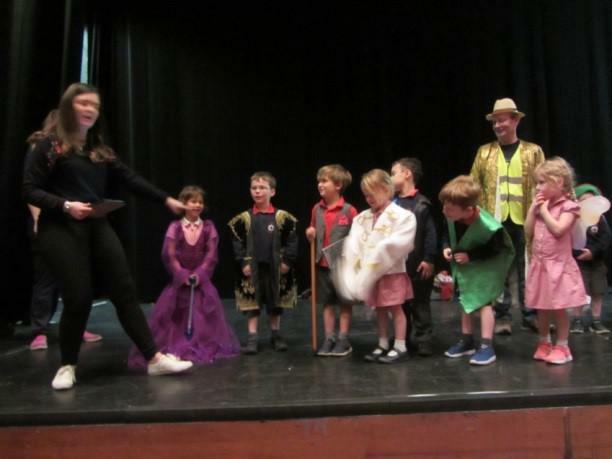 This was followed by visiting the theatre again, having a back stage tour, trying on some of the costumes and props and finally performing on the actual stage to an audience of parents, carers and grandparents. They were delighted with their deafening round of applause! Many thanks to the HSA for subsidising this trip as well as all of the adults that came along to help.